Panasonic’s 3D-capable Plasma HDTVs are still considered among the best for stereoscopic 3D use and each year the company is improving and adding new features in their new lineup and now it is time for the 2012 lineup. There is of course a new top model – the VT50 Series, that will offer all the top features and it will be only available in 55-inch and 65-inch configuration, but also four more new 3D-capable series – GT50, ST50, UT50 and XT50 as well as just one non 3D-capable series – the U50. The focus of the new 2012 lineup is of course the Smart functionality that should make the TV set way more functional and go beyond just a TV, but the 3D capabilities and image quality are also among the key points and the new and improved Plasma panels should bring better quality in stereoscopic 3D mode as well. 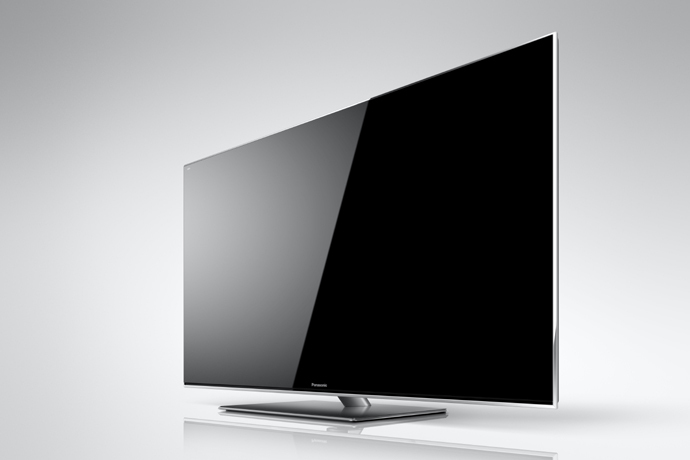 The 2012 models employ NeoPlasma Black 2500 provide a crisp image even when the content shows very fast motion. The 2012 panel further reduces reflections and creates sharper pictures with higher contrast in brighter environments. In addition, a new panel structure and pre-discharge control technology contribute to an increased native contrast level. Additionally, all the 3D models include DLNA connections for easy link-up to other DLNA equipped products. Improved power efficiency has been addressed with, among other technology advances, new and improved phosphor mixtures and more efficient electronics. The six VIERA Plasma series, VT50, GT50, ST50, UT50, XT50 and U50 (the only 2D one), feature self illuminating panels with ultimate black levels, NeoPlasma technologies (VT/GT/ST) providing a black filter with a higher efficiency panel that generates the best balance of black and white under brighter environments. The new Louver filter and new high performance panel result in improved external light shading, improved clarity and improved light transmittance. The 2012 models employ the NeoPlasma Black 2500 (VT/GT/ST/UT), a 6,220,800 pixel cells FULL local dimming, 24,576 steps of gradation technology (VT/GT) (previously only available in professional monitors), a new custom driver LSI and a fast switching phosphor panel on all of Panasonic’s 1080p 3D models. Panasonic also continues its relationship with THX with six Full HD 3D Plasma HDTVs, certified in both 2D and 3D mode by the prestigious company founded by George Lucas. THX certification indicates to the consumer that the picture quality has been certified to meet the stringent standards of Hollywood’s top film makers. All in all what you should expect from the new 2012 lineup of 3D-capable Plasma HDTVs from Panasonic is better image quality – brighter picture, higher contrast, richer colors, better external light blocking and faster response. And when all this is applied in stereoscopic 3D mode you should get even nicer looking and realistic image with less crosstalk. The built-in media player should also be further improved to support more formats. What is not mentioned however is if the new 2012 lineup of 3D-capable Plasma HDTVs from Panasonic will use higher bandwidth-capable HDMI 1.4 chips, so that you could be able to run them in 1080p 30Hz 3D mode or even 1080p 60Hz 3D mode as this is something that will immediately make them way more attractive for stereo 3D gamers and not only for 3D movie lovers. Hopefully we’ll get more details about the extra questions that arise as soon as the first reviews of the new 2012 product line start to appear online. Panasonic used this year’s IFA trade show to announce and show an interesting prototype of a device they are working on, a twin-lens compact 3D digital camera that will go under the company’s LUMIX product line. 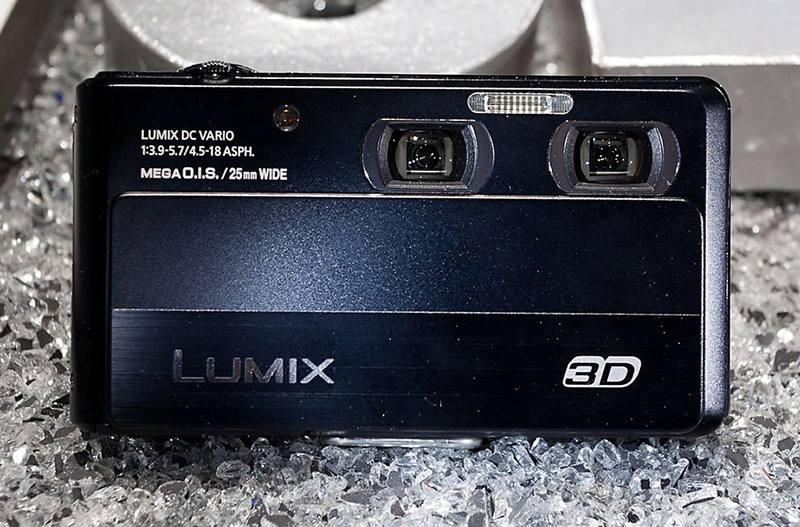 The Panasonic Lumix 3D camera may as well turn out to be the closest competitor to Fujifilm’s 3D digital cameras that are already available for quite a while now, but we are probably going to have to wait at least a few months before the Lumix 3D camera hits the market. Still it is good news for everyone that is interested in a compact 3D-capable digital camera, as having more devices on the market with different features is a good thing, right? And although Panasonic is still not releasing a lot of details about the capabilities of the device, they let out a few pieces of information. One very important thing however was left out – the interaxial distance between the to lenses of the camera, but judging from the photos of the device it seems to be something in between 3 and 4 centimeters (1.2 – 1.6 inches). So the distance will for sure be shorter than what we already have on the Fuji 3D camera, meaning more flexibility for closer 3D photos and videos and more flatness when you want to capture more distant objects. I’m not sure if you’ve noticed, but lately there are a lot of new digital cameras that are getting their 3D treatment in the form of a 3D photo mode that works much the same mode as Sony’s 3D Sweep Panorama mode. 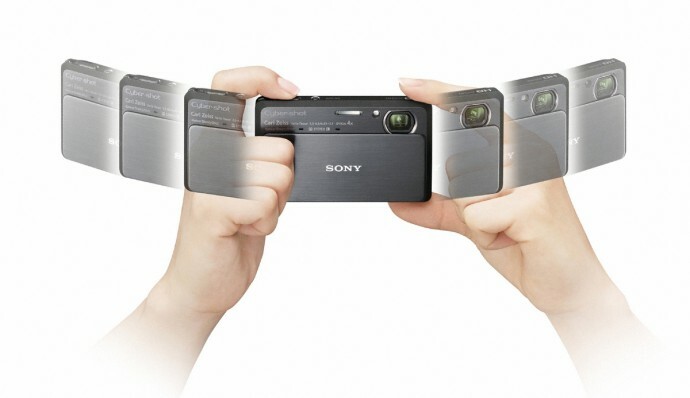 Sony is the first company to add to a lot of its digital cameras this features that allows you to take 3D photos even though the camera has just one lens and sensor, by just moving the camera horizontally and taking multiple pictures out of which the camera software automatically makes a 3D photo. And now they are even bringing that feature to the latest Sony Ericsson Xperia smartphones, but that is to be expected when they already have the software developed and working quite well, so why not integrate it into more devices and say that they also have 3D features. But that is not the problem, the problem is that there are no new real 3D digital cameras coming out on the market, so it is pretty much still up to Fujifilm and their W3 camera to hold the position of the real 3D digital camera for a while more. If you’ve been looking in the news in the last few days you’ve probably noticed that there are some new digital cameras being introduced from different companies that all have the 3D Photo mode, although they are normal 2D cameras. And I’m not talking about products from some unknown companies, but about pretty much all big names that already have or will soon have this software 3D Photo mode that should be able to automatically make 3D photos out of multiple 2D pictures taken with the camera. Aside from Sony who already have their 3D photo mode in multiple digital cameras, there is also Panasonic with a few models already on the market such as the Lumix ZS10/TZ20/FX78/FX77 and others or the latest Panasonic Lumix DMC-FZ150. Then there is also Nikon that recently announced their Nikon S100 digital camera with 3D Photo mode as well as Olympus with their SZ-10 or the upcoming PEN E-PM1 Mini that also gets a 3D Mode. Now, the only one missing here from the top names is Canon, so is it a matter of time before they also start adding such a 3D Photo mode to their compact digital cameras or maybe they are late, because they want to have a real 3D camera on the market. So if you are looking or a real 3D digital camera at the moment, then you better go for Fujifilm Real 3D W3 instead of considering getting any of these that only have a software 3D Photo mode to make 3D photographs. Just have in mind that these 3D Photo modes are more limited and are not usable for shooting moving objects and you are not able of course to take 3D videos as you can with a real 3D digital camera that has two lenses and sensors.